Boldly go where only closed beta testers have gone before this January, when Cryptic launches the open beta test for Star Trek Online on stardate 63497. For those of you not up to par on your Star Trek calendar, that's actually January 12th, 2010. The open beta will run through January 26th, giving players two weeks to play the game prior to the February launch. 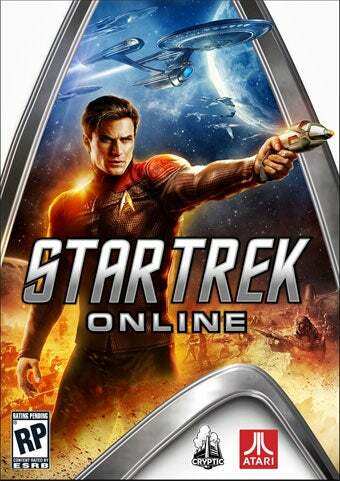 Open beta keys will be given out on a first come, first serve basis, with players urged to watch the game's official website at http://www.startrekonline.com to keep abreast of the situation. "We are excited to announce the dates for the open beta phase as this is one of the final steps in launching Star Trek Online to the public," said Craig Zinkievich, Executive Producer on Star Trek Online. "We are looking forward to the launch of our first-of-a-kind MMORPG with anticipation and excitement and we expect Star Trek Online to explode onto the scene, giving fans and gamers a Star Trek experience like no other." Star Trek would be a much bigger hit with the fans if video game website writers didn't have to covert dates to stardates of their own accord. Just sayin'.